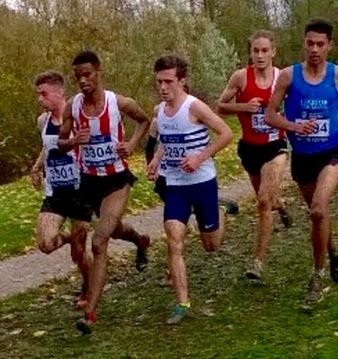 Corey De'Ath has been selected to race for the England under 20 mens team that will travel to Brussels Lotto Cross Cup, on Sunday 20th December. This will be Corey's first ever international vest. 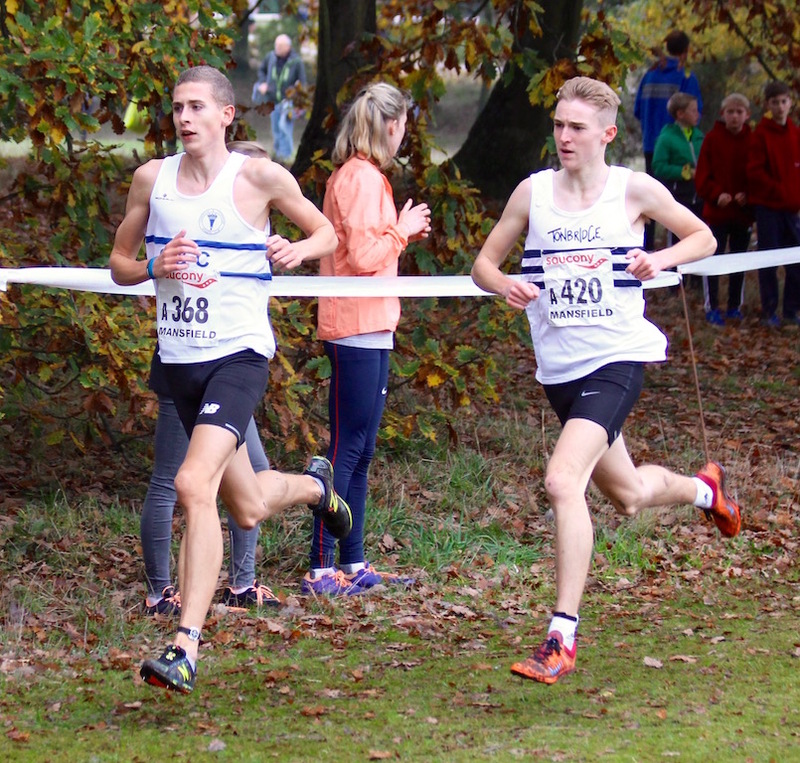 Both Henry Pearce (under 23) and Chris Olley (under 20) have been named in the GB teams to compete at the European Cross Country Championships, on Sunday 13th December. The championships take place at Hyeres, in the South of France, with highlights due to be shown on BBC2, I believe, that evening. The latest league tables, analysis and Ian Crawleys blog are now on the Fantasy League page. 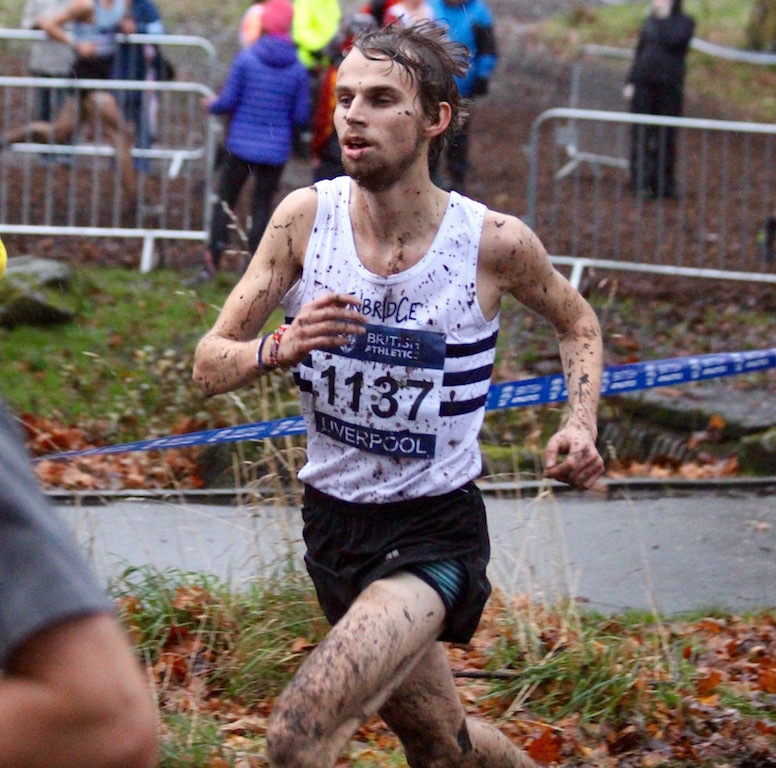 The big news for TAC is that Henry Pearce finished 12th in the senior mens race and 4th under 23, so gains automatic selection for the GB under 23 team, for the European Championships. 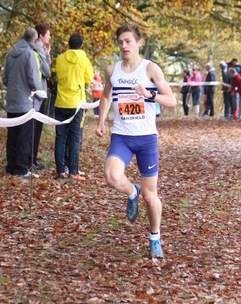 Chris Olley also ran superbly to take 4th in the under 20 race and make the GB team. Both Henry and Chris will compete in France in two weeks time. We also hope that Corey De'Ath will be selected for his first ever international vest, having placed 10th in the under 20 race. Similar past results have resulted in an England team selection. In the senior women's race, Ashley Gibson returned to action, after recent injury, to take a commanding victory, being followed home by Chloe Bird, who produced her best ever result. In 18th Sasha Houghton showed her best form. As a result of the good performances TAC won both the three and six to score competitions on the day. 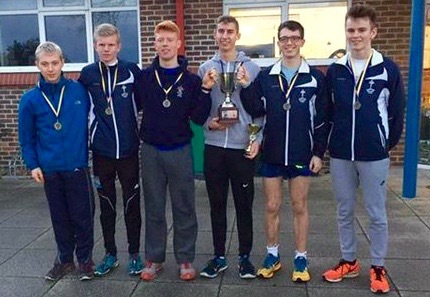 The under 17 and 20 men raced together, with a few more from the older age group present, since there was no senior men's race to choose this time. Alasdair Kinloch continued his unbeaten season, that includes anchoring TAC to two national relay titles. Stuart Brown was next home and first of the under 20s. TAC were quite dominant in both age groups. 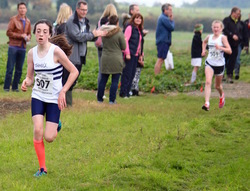 The under 17 women lost Phoebe Barker, who stumbled, injured her ankle and withdrew, but still took the second team spot. It was particularly good to see Ellie Cohen making progress again. 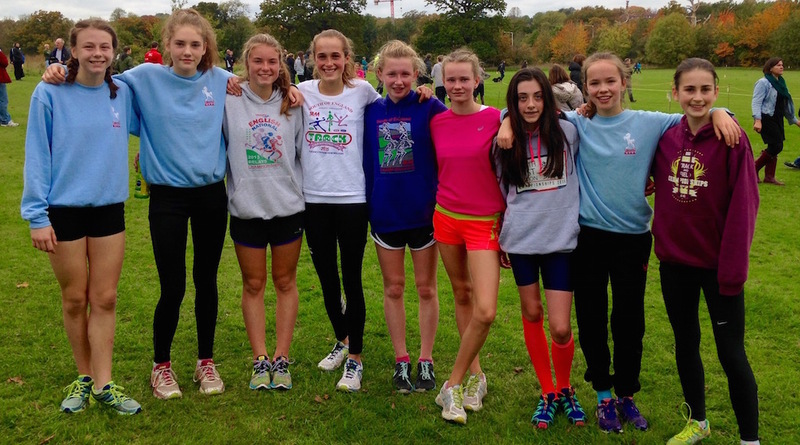 Lizzie Miller took a decisive victory here in the under 15s, which meant that she also won the league title. The ever consistent Tilly Hall was 7th on the day, but won the third place league trophy. Further back there were a few TAC girls showing that they are on the up, such as Sally Palmer, Lucy Kingston and Maddy Crabb. 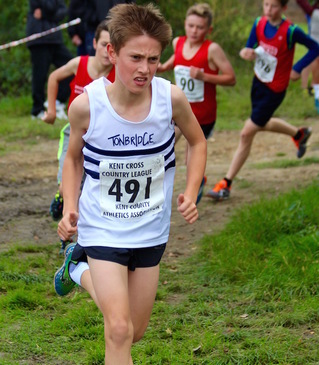 James Stoney captured the under 15 boys league title, by finishing second on the day. 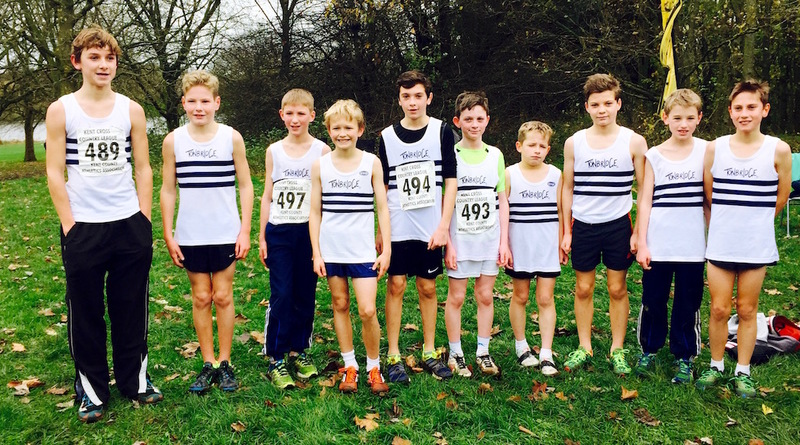 The TAC under 13 boys were out in good numbers and produced a convincing win, led home by a fine second place, from Fin Croll. Relatively recent recruit, George Fisher, used the experience gained from the last fixture to improve to sixth here. Katie Goodge took second on the day and the runners-up spot, in the under 13 league. Like the under 15 girls, there were a few who showed that they are getting stronger, as the season goes on, such as Maddie Wise and Angela Ward. 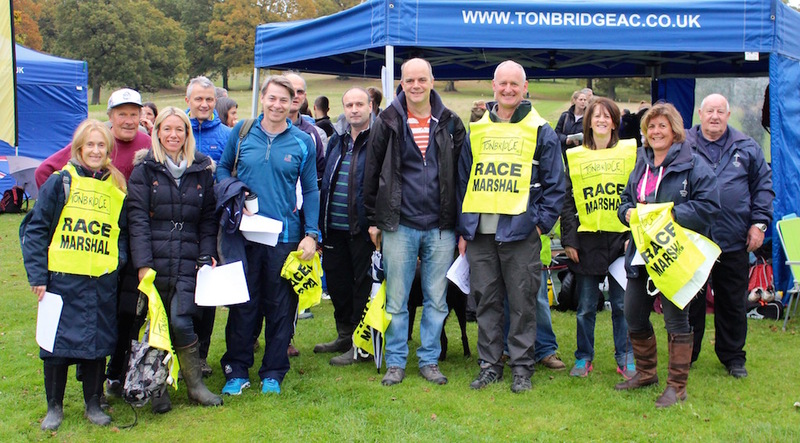 The 3rd round of Park run GP took place at Tonbridge on Saturday in “Snowy and Blustery” conditions!!! Despite this there was a good turn out of 23 runners, with Toby Emm taking top spot of 23 age graded points. The Slack sisters certainly do not 'slack', as they secured 2nd (Sophie) and 4th (Lily) spots separated by yours truly. Sophie (45), Toby (44) and Lily (42) maintain a grip on the first three places overall, having opened a gap on Cain Bradley, who despite recent injuries still gained 15 points yesterday in conditions not ideal for someone feeling stiff!! It was not a day for PB’s as no one registered bonus points. There is now a bit of a break until Bromley on 1st Jan (probably 10am) and Tonbridge 2nd Jan. The TAC highlight of the day was Lucy Reid winning the women's race in fine style, from the reigning Kent Champion, who had clocked a 2.40 marathon at Berlin, in September. Shauna Paice took first place in the womens under 20 category. 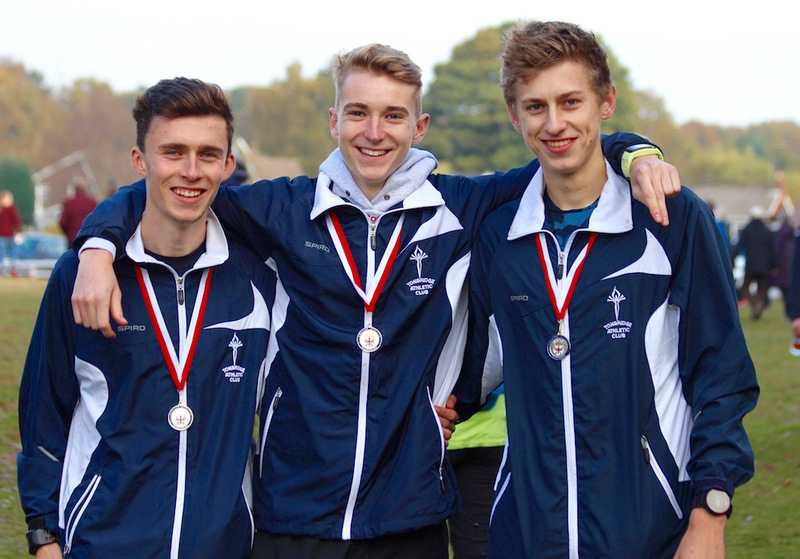 The mens team were led home by Max Nicholls in 4th, with Tom Cox also making the top ten, but the team placed 3rd, behind Kent AC and Belgrave. The course was a single five mile loop, being described by some as the toughest that they had ever faced. 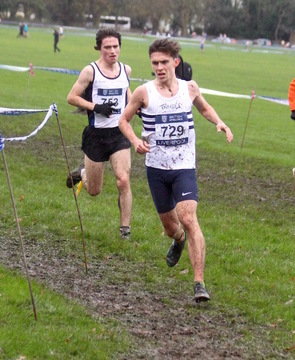 Alex Howard was first home in the senior men's race, as his Oxford University team ran as guests. The ever popular school races for years 7 and 8 saw around 300 starters in both the girls and boys races, with plenty of TAC faces to the fore. Full results are awaited, but I think Maddie Wise may have been the first TAC girl home, whilst Fin Croll (2nd) and Matthew Taylor (3rd) did so for the boys. Full results now on the Result 2015 page. Judd School had a race long battle over 6x3km with the host school St Albans, before Toby Ralph pulled away in the last 800m of the final leg. ​I make it around 18 from TAC are due to race. 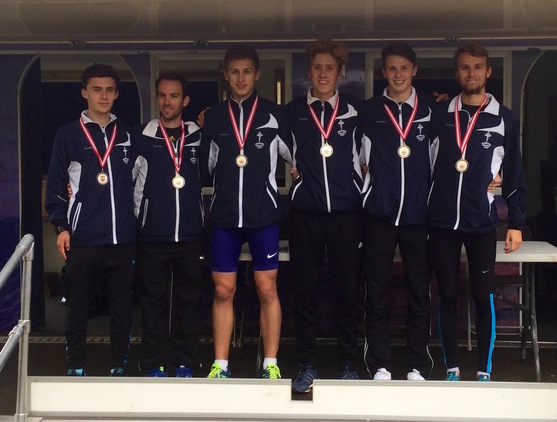 Chris Olley and James West raced for an England under 20 team in this meeting. The under 20 mens rwas over 6km of a flat and fast circuit, which included a few twists and turns, with some hurdles. Chris had a great run to be the first Brit home in 4th, whilst James fell back to 36th, with a severe stitch/stomach cramp. Michael Ellis had an excellent race to finish 13th today. There were only 3 TAC members at the Lullingstone Park Run this morning, that ensured good points for the Puxty family as James 20, Stephanie 19 and Cathy 18 took advantage to take the high points available. Sian Driscoll, who is at university in Leeds, placed 4th in the senior women race, being first under 20 to finish. 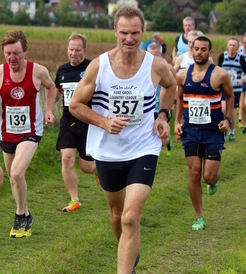 Henry Pearce, looking for a cross country race this weekend, guested in the Essex League and came away with a win in the senior mens 8km. Full results are on the Results 2015 page. A few TAC were there, including year 6 first two boys in George Burbage and Maxim Bragin, plus 3rd in the year 6 girls race, Beth Lednor. 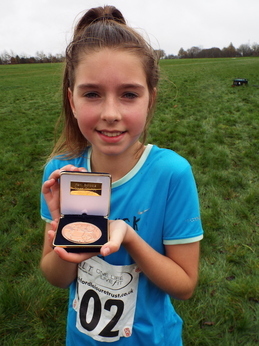 There were many young TAC distance runners in action, including a big win for Kathleen Faes in the Inter Girls race. ​They are also on the Results 2015 page, with TAC highlighted. ​Full results are on the Results 2015 page. 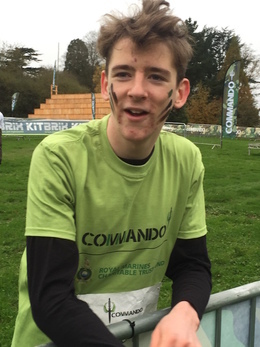 Ollie Dunn (below) won the first wave of the 6k commando race, which I believe includes assault course type challenges. Ollie Dunn - Commando winner ! 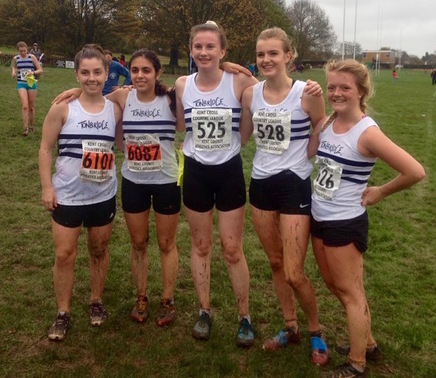 All three of our current USA based runners competed for their universities in the Regional Cross Country Championships, on Friday. This was a solid result for Robbie, who had struggled in recent weeks a little, but can now look forward to preparing for the indoor season. 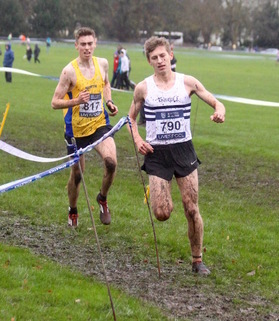 Finally, Ryan Driscoll (San Francisco) paced the West Region Championships very well, moving through the field, throughout the 10km to finish 41st (originally reported as 30th) and be the second scorer for the team. This was a good result for Ryan, in one of the strongest of all the regional championships. The latest league table, following the Kent League on Saturday, is now on the Fantasy Cross Country League page. The top three teams are owned by Julie Goodge, Simon Fraser and Steve Keywood. This weeks highest scoring team, with 326 points, is owned by Ian Crawley, who produces the FL blog after each race. Both the girls and boys races were very competitive and in both cases TAC athletes were just edged out for an individual win. Beth Lednor was 2nd in the girls race and Maxim Bragin 2nd in the boys. Miles Weatherseed managed a double track win at the Oxford University Vs Cambridge match, as he won over 800m and 1500m. Yes, we know its a strange time of the year to be holding a track meet, but thats the sort of thing they do traditionally at Oxbridge universities ! Race videos all loaded ! 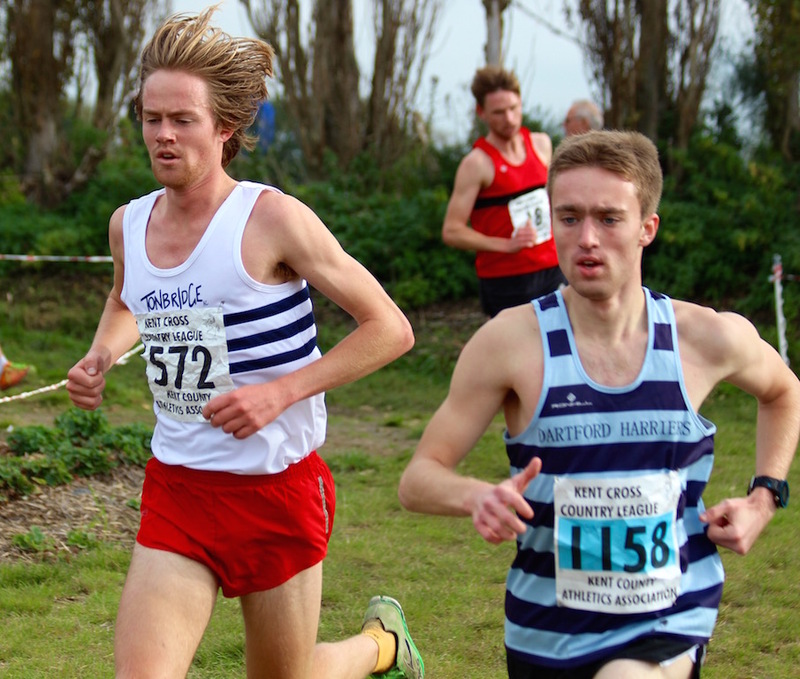 The third Kent League meeting of the season witnessed the worst conditions of the season so far, as heavy rain and strong winds hammered the runners and supporters. Full results are now on the Results 2015 page, but full results are not expected until Sunday. Alex Howard also had a good race to finish 18th in the senior men's race. Baby Summerfield has arrived ! Congratulations to Nicola and Matt Summerfield on the birth of their baby girl 'Ruby' on Thursday, weighing in at 6lbs 8oz. The course marshals at the Tonbridge parkrun will be sleeping a little easier now that the baby has arrived ! 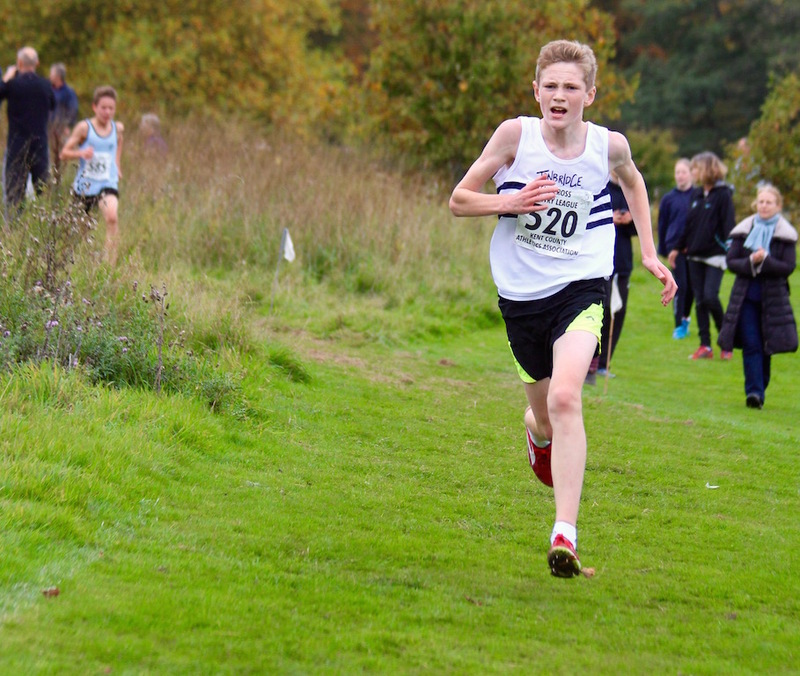 Max Nicholls won the second of the London Colleges League Cross Country fixtures, at Mitcham. ​Chris Olley was also in action, although really only using it as a training run and placed around 12th. There is also a photo of Max there as a bonus ! The updated tables and analysis is all on the Fantasy League page. 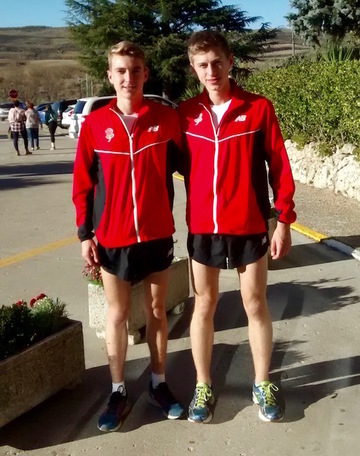 Chris Olley and James West have been selected to compete for a four-man England, under 20 mens cross country team, at Burgos, Spain, on 15th November. Chris has gained GB representation previously, but never an England vest, whilst James has raced indoors for England, but not at cross country. 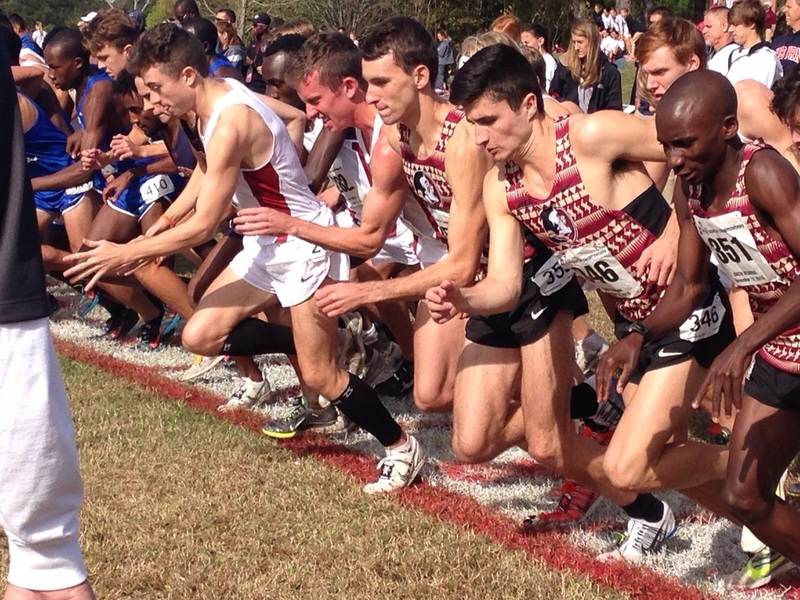 Photos of Chris and James (far right) competing at Mansfield, on Saturday, are shown below. Note that runners on the first leg have a 7 to 9 second advantage over others. 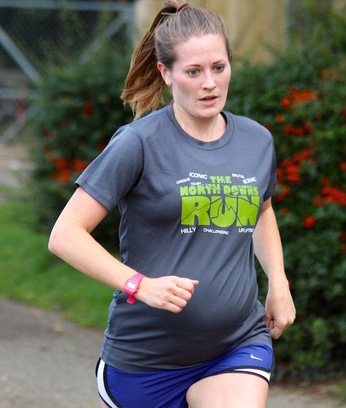 Parkrun news including an Ipswich parkrun story, from Sasha Houghton, to follow later. 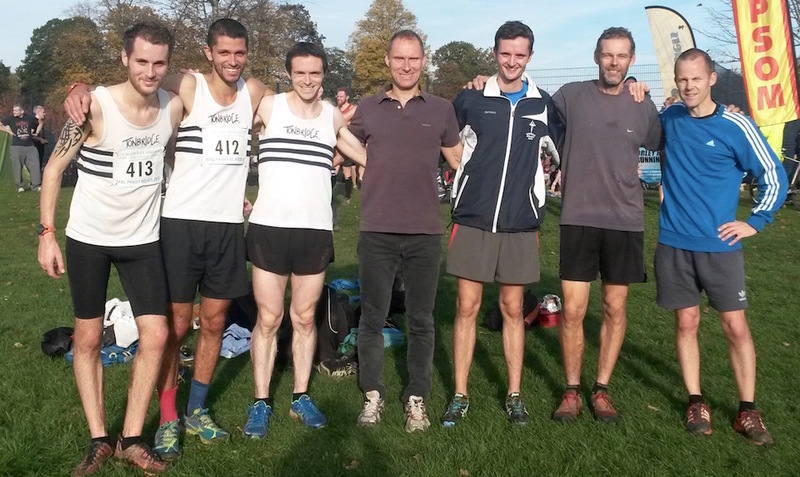 A TAC men's team won the Reigate Priory Cross Country Relays. Full results are on the Results 2015 page with more details to follow. TAC Fantasy League 2015/16 - Press Release ! Hello from Fantasy League HQ. I hope the season has started well and your points are flowing in. If you have not got involved yet – and even if you have – I hope you will be interested in a new competition, launched today! We are offering you the chance to buy shares in teams and individual athletes with the winners receiving a proportional share in the winnings. Half of all proceeds will go to the club, in keeping with FXC’s noble aims. Please read through the attached Press Release and supporting documents and submit your entries in the normal way. IF YOU HAVEN’T GOT INVOLVED YET – NOW IS YOUR CHANCE! See the Fantasy Cross Country League 2015.16 page for details. TAC Fantasy League 2015/16 - Latest News ! The Fantasy League table has been updated, after this weekend's Kent League and Ian Crawley has analysed the results in his second blog. All the details are on the Fantasy Cross Country League 2015/16 page. Cameron Dymond was once again on form and the best value for money selection. Other value for money picks included Mark Coates and Alice Tyler this week. All three are in the photos below. Duncan Ralph finished 394th of about 1500 starters in the Beachy Head Marathon. Duncan ran 4.36.20 on a very tough course. Full results are on the Results 2015 page. John Harley ran 3.19 in the Snowdonia Marathon and was first over 60 home. I cant find the full results as yet. Manchester University Cross Country Relays - see below. 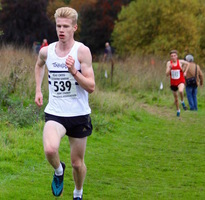 Michael Ellis, running for Sheffield Hallam University, placed 12th in the senior mens race in the South Yorkshire League. Full results are on the Results 2015 page. 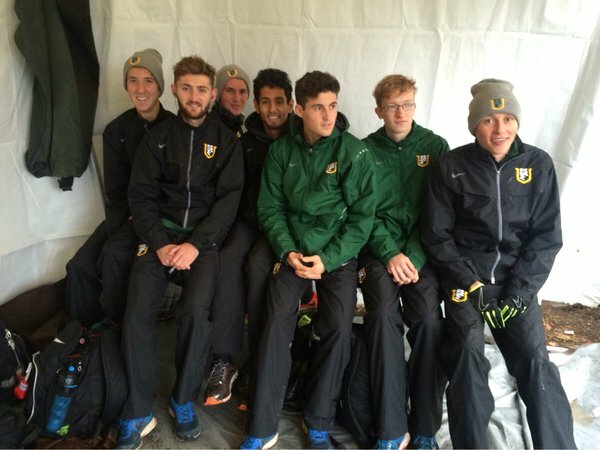 Miles Weatherseed finished 14th in the Oxford University 'Cuppers' cross country race. Full results are on the Results 2015 page. Many thanks to everyone who helped the club put on the Kent League fixture at Somerhill. We had more than fifty people contribute to the organisation. There was also a 1 mile race for under 11s put on, where Ollie Croll and Olivia Breed were the first boy and girl to finish. ​Full results are on the Results 2015 page. More details to follow. Many thanks to all the volunteers who helped at todays Kent Cross Country League. More than 50 in total. There were three TAC distance runners in action at these relays - Tim Faes, who ran 8.58 for Durham, Chloe Bird 10.58 for Nottingham, Saffron Salih 11.44 for Birmingham and James Thompson for Bristol 9.59 & 10.15). Results are on the Results 2015 page. There was some university, college and school cross country action, at both Parliament Hill and Richmond Park on Wednesday. In Richmond Park, Stuart Brown led his Judd School team mates to a clean sweep, in the Judge Cup, held by Tiffin School. Behind Stuart were 2nd Toby Ralph, 3rd Luke Fisher, 4th Jesse Magorrian, 5th Dan Blades and 7th Olly Harding. 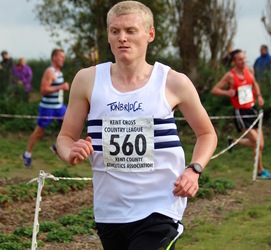 Full results are now available on the Fantasy Cross Country League 2015.16 page, together with a message from the organiser 'JT' (James Taylor). There is also the first Fantasy XC League blog and analysis by Ian Crawley, which is definitely worth a read ! Ian Crawley - 1st Fantasy League blog! The next race will be held at Lullingstone on the 14th November, with a minimum 20 pts on offer. Stuart Brown ran in the Birmingham Half Marathon, using it more as a training run and recorded 81.19. His sister Amy, also of TAC, broke the 2 hours barrier with 1.59.18, despite twisting her ankle. 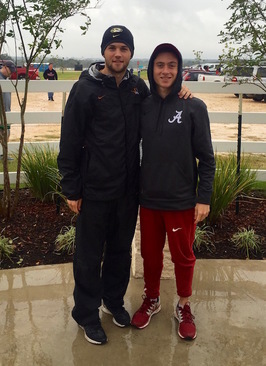 Both Ryan Driscoll (San Francisco) and Luca Russo (Missouri) met up at the extremely tough Pre Nationals cross country meeting, at Louisville Kentucky. Ryan had what he described as a solid race to finish 87th in 24.15, for the accurate 8km. Luca was caught up in a mass fall near the start, was subsequently spiked and had a bit of a disaster to finish 243rd in 25.15. 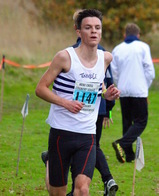 Dominic Brown ran the anchor leg for Sheffield University, who placed 2nd in the senior mens race, behind Leeds City. However, the team were disqualified and I am trying to find out why from Dom. 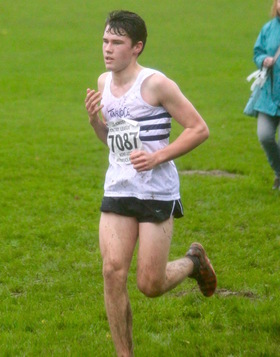 Tim Faes placed a fine third behind two classy runners in this race, at his university. More details awaited. 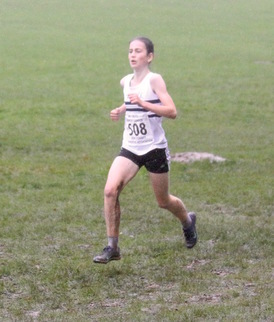 Holly Gordon won the SE Regional under 17 girls biathlon (swim/run) and qualifies for the National Championships on 28th November, at Solihull. Robbie Farnham-Rose (Alabama) was disappointed with his 47th place in 25.45, on the 8042m course. Full results are on the Results 2015 page. 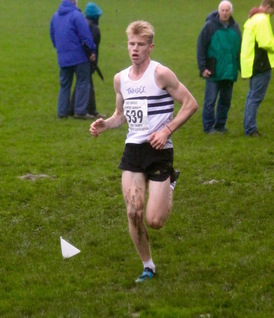 Michael Ellis ran in the North Yorkshire Cross Country League, at Rotherham, reporting that he has finished somewhere between 10th and 15th. Lucy Pitcairn-Knowles has run a 44.06 personal best at the Ashford 10k, being 10th lady home and 2nd in the over 50 category. Dan Sims placed 302nd in the World Ironman Championships in Kona, Hawaii in 9 hours 58 minutes and 16 seconds (triathlon). Sam Bradley ran an excellent 2.30.13 at the Chicago Marathon, his debut at the distance. 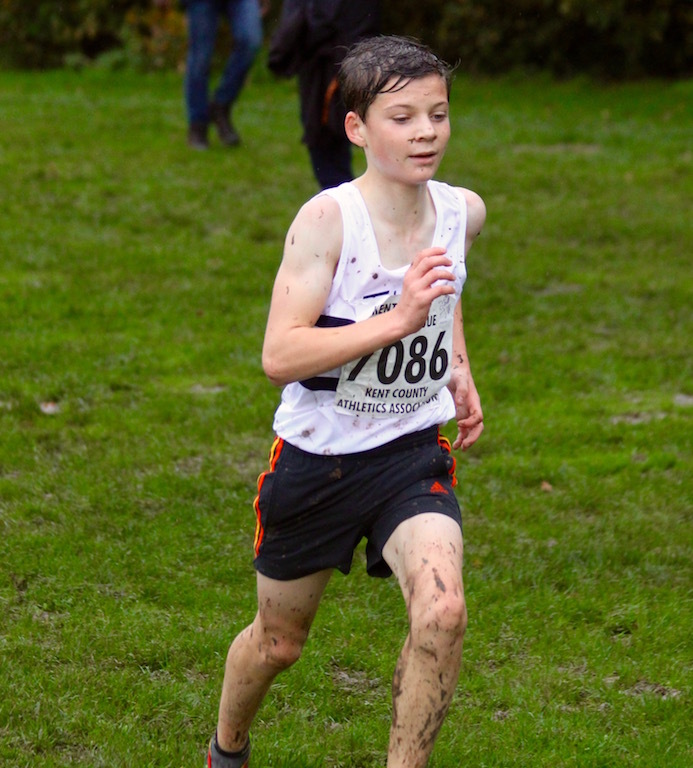 Additional news from Saturday - Maxim Bragin won the under 11 race at the Essex Cross Country League fixture. 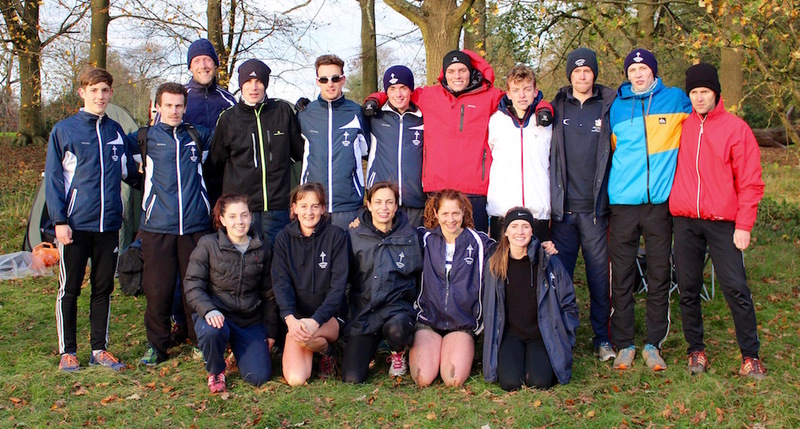 Tonbridge AC put in some very strong team and individual performances in this opening fixture of the Kent League. The new location for a league fixture provided some fast early season running and seemed to be well received by everyone. I believe that we had 93 runners across the age groups with TAC records being set with 32 senior men and 11 under 15 girls. Details of the TAC Winter parkrun Grand Prix have been announced by Mark Pitcairm-Knowles. Please see the file below, which is also available on the parkrun page. 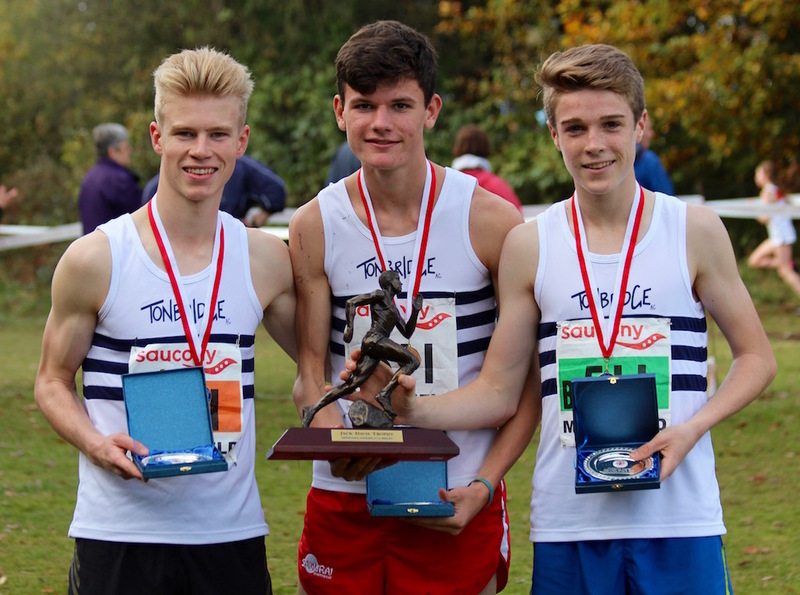 TAC training for the distance runners, will be at Judd School, from 6th October, until March. Training starts at 6.30pm, but you can arrive anytime after 6pm. An email has been circulated regarding behaviour and safety guidelines. TAC runners were out in force at this first round fixture and there were individual wins for Matthew Taylor, Katie Goodge and Kathleen Faes. Full Results are on the Results 2015 page. Under 13, 15, 17s - videos loaded ! 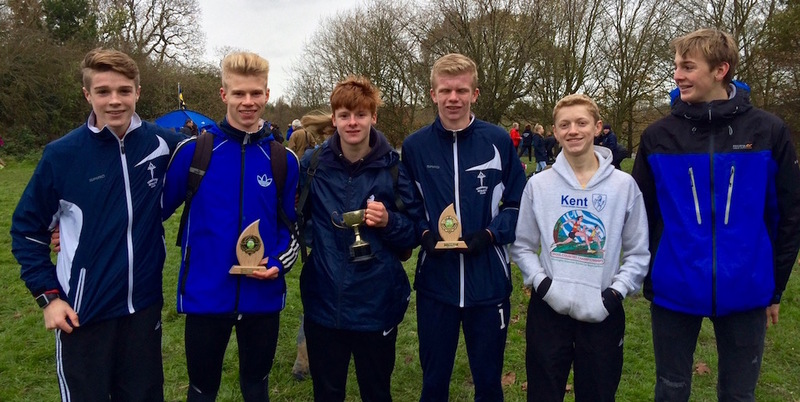 The Tonbridge AC under 17 men's team captured the club's second national title of the weekend, through James Puxty, Jamie Goodge and Alasdair Kinloch. Under 17 men - 1st, 19th, 29th, 39th (1st B, C and D teams) (2nd fastest Alasdair Kinloch, 9th James Puxty, 10th Sam Crick, 13th Jamie Goodge). ​Results are on the Results 2015 page. 7TAC swamped the podium, with the first four men home and first two women. Dan Bradley (72.39) emerged victorious from Julian Rendall (73.01), Dan Watt (73.58) and Andrew Mercer (74.00). Greg Cole (75.41) was 6th and Simon Fraser 7th, whilst Lucy Reid (80.56) pipped Nicole Taylor (81.04) in the women's race. Men and Women - videos loaded ! There is something called a Perfect Storm situation which can end up as a significant event. I think that we experienced this today, as the Tonbridge AC men's team produced some stunning individual performances to capture the National Road Relay title. 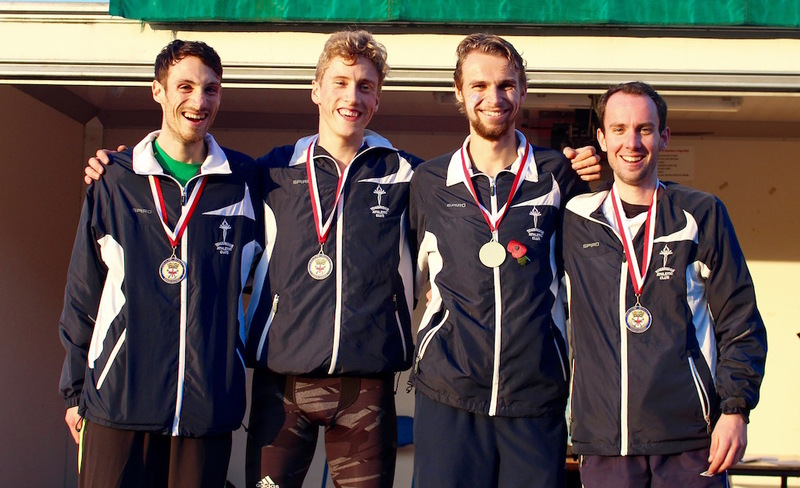 On top of the A team's performance the men's B team stormed to a superb 10th. This was very close to the highest ever place achieved by a TAC A-team of 9th last year. The women's team also did us proud to finish 32nd, which was only the second time that TAC have completed a team in this championship. Full results are on the Results 2015 page. More details will follow on Monday.